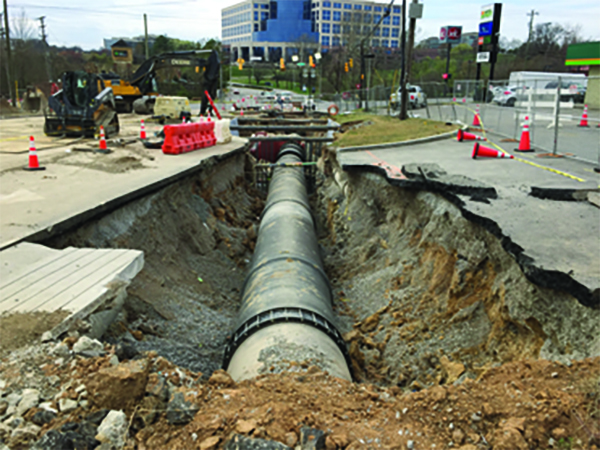 This project is part of Metro Water Services’ master growth plan that will provide system redundancies needed to help eliminate potential water pressure and flow problems in the future. Metro Water Services currently maintains 3,000 miles of water lines and has a capacity of 180 million gallons per day pumped from two water treatment plants. This project will help Metro Water stay ahead of the area’s continued population growth. 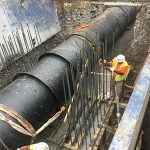 Garney Construction, contractor for the $32.9 million project, selected AMERICAN to provide almost 12,000 feet of 60-inch and more than 13,000 feet of 36-inch ductile iron pipe. AMERICAN Flow Control is also providing 13 resilient wedge gate valves with Flex-Ring ends in sizes 24, 36 and 60 inches in diameter. Project work began in early February and is expected to be complete by the end of 2017. 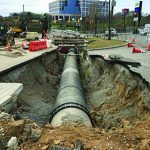 To select a route providing the best flow conditions, Metro Water’s project team – including engineering firm Gresham, Smith and Partners – evaluated and compared multiple alternatives. Consideration was given to criteria including environmental, legal, water quality, permitting, property acquisition, constructability, cost, schedule and overall impact to customers. 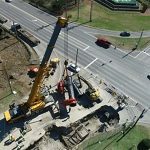 Before ground was broken, AMERICAN worked with Garney Construction to develop a precise lay schedule for various sections of the pipeline, making installation of the pipe much easier in the field. That kind of planning will pay big dividends later when Garney crews lay a portion of the pipeline across the bottom of the Stones River. The river depth varies from 5 to 40 feet, depending on how much water is released by the J. Percy Priest Dam. 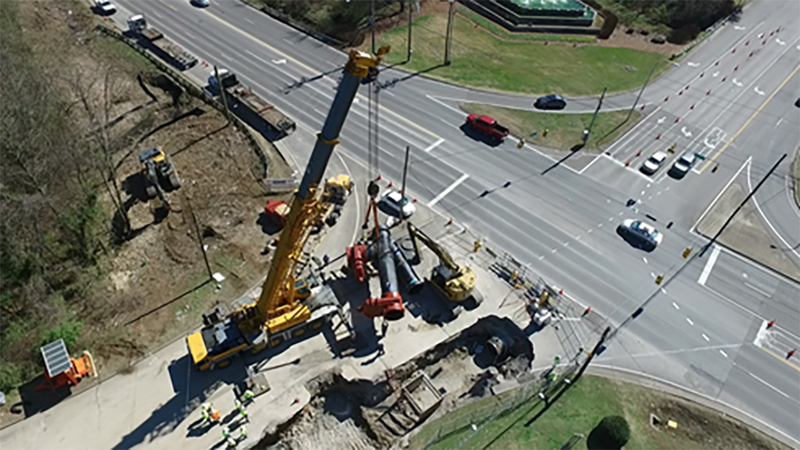 To learn more about the Cumberland City Low Transmission Water Main project, view AMERICAN’s drone videos of the tie-in of a 60-inch-pipe and installation of a 36-inch transmission main. AMERICAN Flow Control is providing 13 resilient wedge gate valves with Flex-Ring ends in sizes 24, 36 and 60 inches. 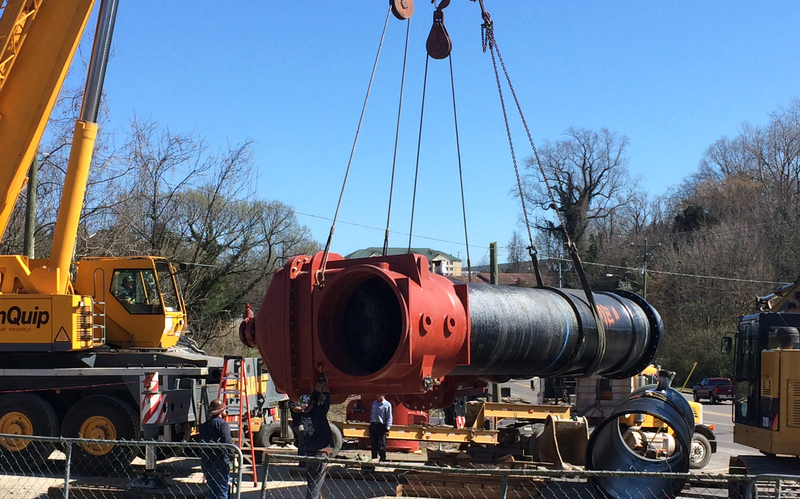 Pictured is AMERICAN’s 60-inch Series 2500 RW gate valve, which weighs nearly 30,000 pounds and has a height of more than 13 feet. It is the first and the largest resilient wedge gate valve in the industry of its kind, without flanged ends. 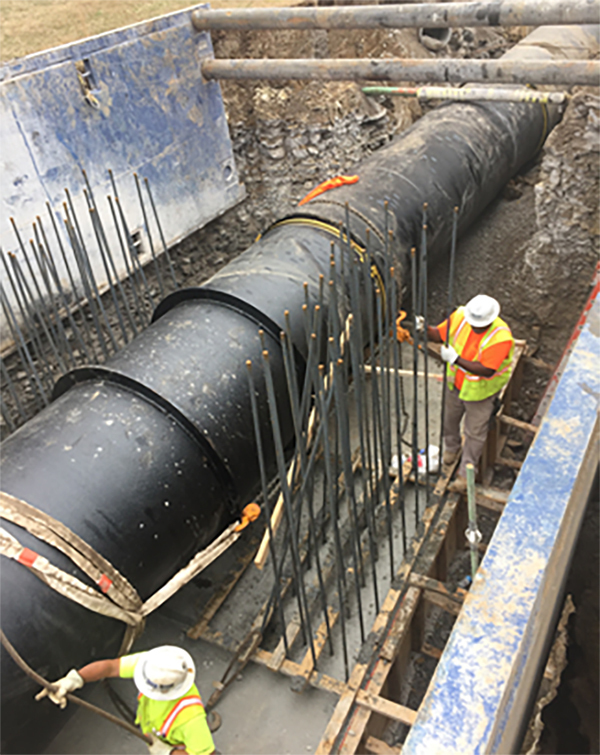 AMERICAN Ductile Iron Pipe is providing almost 12,000 feet of 60-inch and more than 13,000 feet of 36-inch pipe for Metro Water Services’ Low Transmission Water Main project. Garney Construction is the contractor for the $32.9 million project. Project work began in early February and is expected to be complete by the end of 2017. 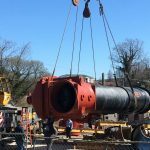 Metro Water Services’ Low Transmission Water Main project will help the utility stay ahead of the area’s continued population growth.